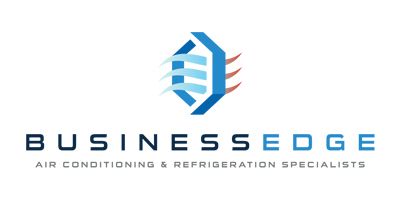 Since its formation in 1990, Business Edge Limited has steadily grown to be highly regarded and one of the strongest Technology Training Companies within the Air Conditioning, Refrigeration and Building Services industries. Our engineering workshops are specifically set up for practically based training courses such as Installation, Commissioning & Service Engineering, F-Gas, Pipework & Brazing and Electrical Certification. The workshops are fully equipped to allow training and assessment on refrigeration, air conditioning (including new refrigerants R32 & R1234yf and hydrocarbons) and ground source and air source heat pump systems. 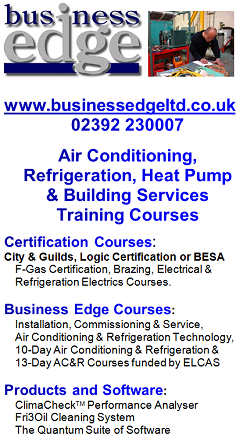 Business Edge is an Approved Centre for City & Guilds, Logic Certification and BESA certification courses and also offers Technology Courses for CPD and training for ELCAS-funded Service Leavers. We also specialise in Engineering Development and Product Design, Performance Analysis, Optimisation, Trouble-Shooting and Software Development.